I agree. 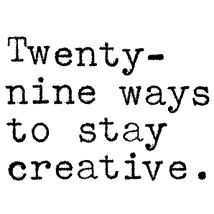 Better to not let the typeface get in the way of content. 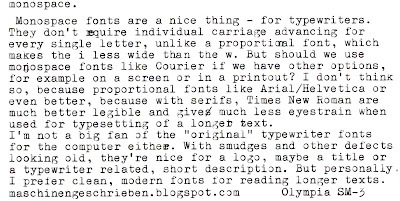 Typewriter fonts CAN make useful display typefaces and are ideal for false-typecasts. I'll vote for Ariel and Helvetica before any font with serifs. 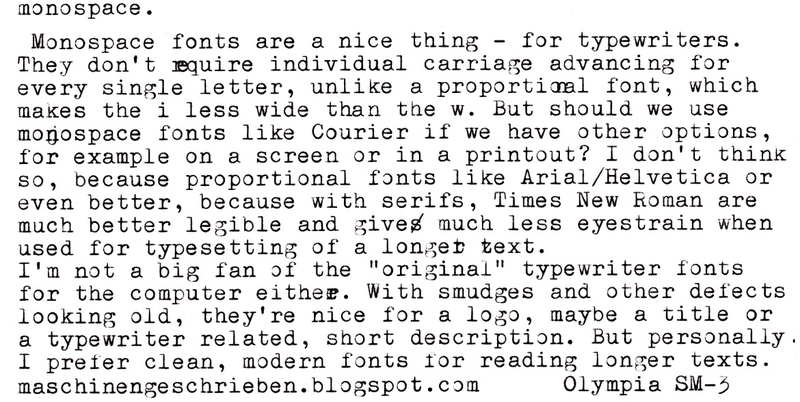 The biggest problem with proportional is readability whether or not it has serifs. Serifs do help to make certain letters readable as an I, l and 1 generally do not get misinterpreted. All too often on a monitor ii il ll or 11 all look alike. With larger font it is not as much of a problem. All copy meant for on-air was and still is generally done in all upper case double spaced so there are less mistakes. Thanks for your comments. @Rob, I totally agree. @Bill: Those are good points. I think Helvetica is much more aesthetic than fonts with serifs, but I find reading a text, book etc. without serifs pretty unconvenient. I think that serifs look better in printed text and it's easier to read. But on the screen I do prefer non serifs.